The last 5 years have seen some rapid changes in the way new versions of the Java Development Kit is deployed and maintained. Traditionally, new Java versions were always released in a 2 year life cycle. Every 2 years, a new JDK would be released, containing features that emulated (and in some cases worked to replace) other popular languages at the time. For example, Java 2, released in 1998, saw the addition of the strictfp keyword, which was essential in making the architecture independent Java language competitive with C and the verbosly specific floating point calculations it was used for. Java 4, released in 2002, added regular expression libraries that behaved similarly to Perl, a language which began to see its usage decline in the 2000's. The development of Java has been at a constant trajectory since 2014 with the release of Java 8. Over the next 4 years, there were 3 new Java releases, effectively doubling the expected number of releases set by precedent. In 2019, the fifth year since the release of Java 8, Java 12 is slated to be released. As an application developer, this can be quite overwhelming. How many new applications do you have to go back and update now? As a systems engineer, this is a nightmare. How many servers in your datacenter constantly need updating to the newest Java release? Why is this happening in the first place? If there are two things developers hate, one of them is unnecessary change. I suggest the dramatic changes Java has undergone in the last 5 years have actually saved this language from going the way of COBOL and Fortran before it. It is absolutely crazy to think about keeping several applications or several hundred (thousand?) servers up to date with the newest Java release, especially when 5 have come out in as many years by the end of 2019. That is why the concept of an LTS was established. A Java LTS (long-term support) release is a version of Java that will remain the industry standard for several years. To give you an example of this, Java 8 was released in 2014, it will continue to receive updates until 2020, and extended support will end by 2025. This is a span of almost 10 years for a stable Java release to be considered an industry standard. This gives plenty of OS vendors like Microsoft and Red Hat the time to repackage their releases with Java 8, time for application developers to update their applications to take full advantage of Java 8 features, and time for system administrators to update their data centers with Java 8 before a new version is released. At this time, the only other Java version that is also an LTS version is Java 11, which was released in 2018. The next release of Java, Java 12, is not slated to be an LTS release, and neither is 13. If a trend is to be established from LTS releases vs. non-LTS releases, we can extrapolate the following: LTS releases should be upgraded to as they contain summary features which redefine how the language should be used, while non-LTS releases could be upgraded to as they refine some or all of the features introduced in the latest LTS release without impacting the language as a whole. As you will see later in this article, Java 8 was an LTS release that introduced features that were perfected in Java 9 and Java 10. Javas 9 and 10 were non-LTS releases that laid the ground work for new features would be introduced in the newest LTS, Java 11. Why have there been so many different releases of Java in recent years? The answer lies in the fast-paced growth of development technologies across the board. Java was born out of a need for applications to be architecture independent. As consumer hardware slowly reaches a computing upper-limit, allowing web-based development and virtualization programs to be integral parts to the developer's workflow, the need to remain hardware agnostic has fallen to the wayside. IDE's are being deployed with standard Android or iOS emulators, allowing developers to specify the architecture on which they intend to deploy their final application, regardless of the machine they are developing on. Web-based IDEs like Cloud9 let you write and compile Java applications over the Internet. The business need that birthed Java is no longer a requirement for businesses. In fact, business requirements have changed. Application programming is a dying paradigm; functional programming is replacing application programming just like the cloud is replacing the data center. Businesses no longer need a whole application with a CLI, or a GUI. The technology world is moving to a place where we need to run a function on a stream of data and forward that result to some other application, without caring about where or how the function runs. This requirement has seen the rise in popularity of Python and R, and the development of completely new languages like Clojure, Groovy, Rust and Swift. How is a language like Java, which was made relevant because of how it handles hardware, supposed to stay relevant in a world without hardware? If you take the last 4 releases (and the planned fifth) into consideration, it is easy to see why Java will remain a powerful tool for developers in a functional, serverless world. And just like that, we've defined three unique implementations for a form validation interface, without having to define three implementing classes. Each method implementation contributes to the application in the same way, but operates differently based on the specific implementation. Lambda expressions do not have to be so succinct as they are in the above snippet. They can be multiline method bodies that return values. You can even pass a functional interface as a parameter to another method, each time defining a new lambda expression to modify the behavior of that functional interface as a parameter. For more information on this, check out this well-written post on Medium. To wrap up Java 8, it is worth mentioning default interfaces, type-based annotations, Optional objects, and Stream collections. Default interfaces are nothing more than interfaces whose method bodies have a default implementation. This eliminates the need for abstract parent classes which define default behaviour for the interface, allowing all child classes to defer to super. Now abstract parent classes will exist if and only if there is a good reason for them, keeping code neat, organized and easy to read. Type annotations are annotations that are specified at the field level. Type annotations are very popular in the Hibernate and JPA libraries, where you can define database relationships between two records on a foreign key. Optional objects can be assigned null values without throwing NullPointerExceptions. These objects do much in the way of cleaning boiler plate code. Instead of checking if an object is equal to null, you can use an Optional type which contain constructs like Optional.empty or Optional.isPresent to replace your constant null checking. We create a List object and from that List we create a Stream. The filter method takes a lambda that pulls all elements out of the stream which start with a "c". The map method passes the method reference for the toUpposerCase method, which is part of the String object, and applies it to each element in the Stream at this time (which is just c2 and c1). The sorted method sorts the elements in the stream in alpha-numeric order (resulting in C1 and C2). Finally the forEach method takes another method references which returns the type void and applies it to the remaining members of the stream, thus printing the strings "C1" and "C2". Streams are another departure from traditional Java, much like lambda expressions. They are very functional tools that cannot be re-used after a terminating operation has been called on it (i.e. any method which returns void, in the above case the forEach method). However, they are invaluable tools for parsing large data sets. Whole classes designed to process large data structures can be reduced to a few lines of code using streams. Java 9 improved on some of the features introduced in Java 8, but not to such a degree that required it be an LTS release. Some of the features like private interface methods, immutable sets defined in one-line, a new Garbage Collector, a new HTTP Client, and enhancements made to the @Deprecated annotation did not really do much to move the language forward. These features deserve to be mentioned, but they did not shake up the Java development world the way functional interfaces and lambda expressions did for Java 8. That being said, Java 9 is not without its bells and whistles. The jshell command line tool was introduced in Java 9. This tool, allowed users to flesh out Java code in the command line without having to set up a brand-new Java project with the inescapabale public static void main(String args) method. Developers could now write Java code in the command line at will. This brought Java one step closer to Python; Python always had a CLI component and now so too did Java. The jshell is a whole topic on its own, and it exceeds the scope of this blog post. For more information on this tool though, check out the Oracle documentation on it. Java 9 was the release that re-defined how Java programs could be organized and developed. Java 10 was the release that built upon the foundation laid in Java 9. The most subtle, but most important feature of this release were the performance enhancements introduced to the jshell tool. The jshell tool was a powerful addition in Java 9, but it took awhile for it to get going. Java 10 kicked it into gear a lot faster than Java 9 did, introducing performance enhancements that made the tool more desirable to use for developers. Additionally, Java 10 improved upon Java 9's new Garbage Collector, the Garbage-First Garbage Collector. Java 9's G1GC changed the way Java performed garbage collecting by partitioning its heap into multiple small heaps, whereas traditionally the heap would be split into three chunks. G1GC also introduced multi-threaded processing on the garbage collector for all events save a "stop-the world," a point in time during garbage collection where program execution halts and gives the garbage collector time to assess the state of the application. "Stop-the-world" events are unavoidable in garbage collection. Java 10 took the multi-threaded approach perfected by Java 9 and applied it to the "stop-the-world" event, thus making the G1GC fully concurrent. Even though the G1GC is fully concurrent and therefore faster than prior garbage collectors on average, it is worth noting it takes a larger memory footprint because of the way it chops the heap into more chunks. One thing to note about var is it is not reserved. This means you could feasibly have a situation like var var. This feature is designed to protect the lazy programmers out there who have created variables named "var." 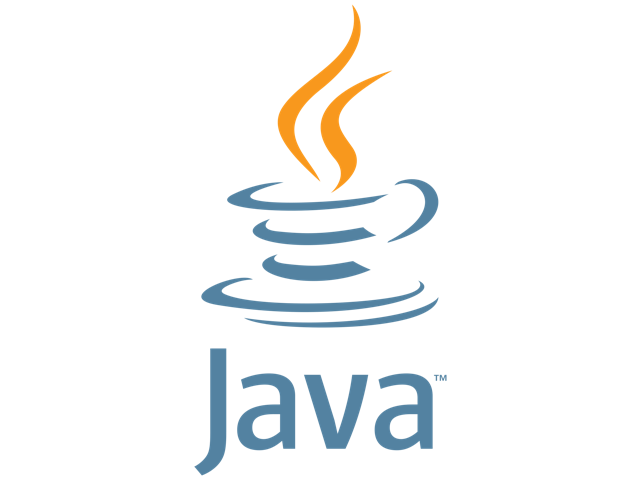 Java 11, the most recently released Java version, is the second LTS Java version released by Oracle. This version continued where Java 10 and 9 left off. Modifications were made to the ever popular var keyword, allowing them to be used within lambda expressions. This means you can now have variables within your lambda expression that are locally-scoped to that lambda expression only. This is just another feather-in-the-cap for lambdas; the integration of functional paradigms and inferred types shows a real embrace of modern programming styles. Another great feature of Java 11 is the single line, single-file build. You can now run the following without having to compile an entire application. If you want to test something out quickly, you could mock up your application using jshell. Then you can take the commands you painstakingly tested and copy/paste them into a poc.java file. This can be attached into an email for your co-worker and forwarded to them. They can then run the application in one line and, assuming you are using native libraries only, the application will run perfectly. This is truly a big step for Java; the developers working on the JDK have worked tirelessly to make Java a language that can stand the test of the modern programming paradigm. Languages like Python have always been used to write enterprise level applications, just like Java and C++. However, Python has always had an edge in that it can be used in a highly functional, almost ad-hoc way. Until Java 9, this was impossible. Now with Java 11 introducing single-file compilation under an LTS release with lambda functions that have locally scoped, inferred type variables, companies can almost replace their Python scripts with Java scripts. This is a huge win for Java. Take for example the machine learning world. Every tool used to automate model training and generation will generate a reference to the generated model as either a python script or a POJO (plain-old Java object). The Python machine learning shops out there had a realy easy time testing deploying their model, they just drag and drop the file to the location where there application stack calls the model and it was deployed. The Java machine learning shops would have to take the POJO and integrate it into their application, re-compile everything, and re-start the Java process running on their ML machine. For some production environments, this may only be allowed on a weekend with the coordination of multiple teams. Now, with Java 11 and single-file compile, deploying a new model in Java is as easy as deploying a new model in Python has always been. Java has had quite the glow-up in the last 5 years. Java has gone from a language on the cusp of becoming one of the "old-school" languages like C or Fortran, and has been re-made in the image of languages that are succeeding today for modern use-cases. The great thing about Java used to be it was easy to learn. There are no function pointers, there is only one type of casting, no multiple inheritance, you could run Java on any platform, and you do not need to know how to use any command line tools because your IDE takes care of most of it. If you are a novice, the command line in your Eclipse IDE is how you interact with the application. If you were curious, you built a JApplet. If you were an enterprise developer, you built a REST interface underneath some HTML you copy/pasted off the web. This worked for awhile, until our data sets got bigger, our databases all became columnar, our front-ends were stand-alone products like Grafana, and we became more interested in our future results over our current results. How does a language like Java stand a chance in a world where the function of the object outweighs the object itself? The short answer is, Java needed to be reinvented. Now we have a robust object-oriented language that can easily fill the role of a functional scripting language. By trimming the fat inherent to every Java application, Java once again becomes an accessible language. We no longer need 20 lines of import statements, we can just make a module. We no longer need to compile thousands of lines of code to see if one crucial piece works as expected, we can just use jshell. We no longer have long-winded anonymous classes that define highly specific types (yes I am talking about you Apache HTTP Client), we have lambda expressions and inferred types. We no longer have helper classes designed to troll through your data structures for entries that meet specific criteria, we have the Streams API. Pretty soon, the iconic POJO may be replaced with a concept called a record in Java 12. This initiative to keep Java modern ensures it will be used for many more years to come. I only hope the powers that be start to realize C++ is the next candidate for the same treatment.